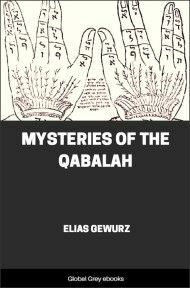 This is a scholarly study of the origin and evolution of the Kabbalah. 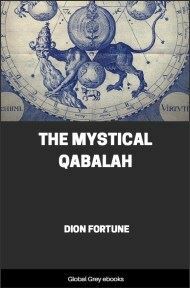 Originally published in French in 1843, with a second French edition in 1889, this book traces the origins of the philosophical concepts of the Kabbalah to the ancient Zoroastrians. Franck goes into fascinating detail about the doctrine of the Kabbalah, as expressed in the Sepher Yetzirah and the Zohar. 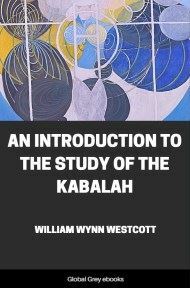 He carefully compares the philosophy of the Kabbalah with Greek philosophy, the Alexandrians, Philo, and the Gnostics, and concludes that, although there are similarities, none of them can claim to be the source of the Kabbalah. However, he does find many more similarities with the ancient Zoroastrian beliefs. By this process of elimination, he comes to the conclusion that the doctrines of the Kabbalah had their origin during the Babylonian exile circa 500 B.C.E., which was also the time when Zoroaster was active in the same geographical region. 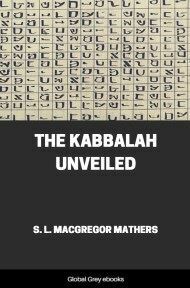 Enthusiastic partisans of the Kabbalah declare it to have been brought down by angels from heaven to teach the first man, after his disobedience, the way to recover his primal nobility and bliss. Others supposed that the lawgiver of the Hebrews, during his forty days' stay on Mount Sinai, received it directly from God, that He transmitted it to seventy old men who partook with Him of the gifts of the Holy Spirit, and that these passed it on by word of mouth until the time when Ezra was given the order to transcribe it together with the Law. But, no matter how carefully we may read all the books of the Old Testament, we shall fail to find a single word which refers to secret teachings or to a doctrine more profound and more pure, reserved solely for a small number of the elect. Since its origin, until its return from the Babylonian captivity, the Hebrew people, like all nations in their infancy, knew no other organs of truth, no other ministers to the mind, save the prophet, the priest and the poet; and in spite of the obvious difference among them, the latter is often confounded with the previous ones. Instruction was not the province of the priest, he simply attracted the eye by the pomp of religious ceremonies. And as to the teachers, those, indeed, who raise the religion to the rank of Science and who replace the inspirational language with a dogmatic strain, in short, as to the theologians, there is no mention of either their name or their existence during that entire period. It is only at the beginning of the third century before the Christian era that we first see them appear under the general name of Tannaim, which means teachers of the tradition; for it is in the name of this new power that everything, not clearly expressed in the Scriptures, was taught. The Tannaim, the oldest and most respected of all teachers in Israel, formed, as it were, a long chain, the last link of which is Judah the Pious, editor of the Mishnah, who collected and transmitted to posterity all that has been uttered by his predecessors. Among these are the supposed authors of the oldest monuments of the Kabbalah, R. Akkiba and Simeon ben Yohai, with his son and his friends. Immediately after the death of Judah, towards the close of the second century of the Christian era, a new generation of teachers starts who are called Amaraim (‏אמראים‎), because, not constituting any longer an authority in themselves, they only repeated and better explained all they learned from the previous ones, making known those of their words which have as yet not been published. These commentaries and new traditions, which multiplied prodigiously for more than three hundred years, were finally united under the name of Gemara ‏גמרא‎, i.e. termination and completion of the tradition. It is, therefore, in these two collections, religiously preserved since their formation until this day and united under the name of Talmud, that we must, above all, search, if not for the very ideas which form the foundation of the Kabbalistic system, at least, for some data on the origin and epoch of their birth. Evidently this can not refer to the text of Genesis or to that of Ezekiel wherein the prophet tells of his vision on the banks of the river Hebar. The entire Scriptures were, so to speak, in the mouth of everybody; from time immemorial, the most scrupulous observers of all the traditions have made it their duty to read them through in their temples at least once during the year. Moses himself incessantly advised the study of the Law, by which the Pentateuch is universally understood. After the return from the Babylonian captivity, Ezra read it aloud before the assembled people (Ezra, II, 8). It is just as impossible that the words quoted express the interdiction to give any interpretation to the story of the creation and to that of Ezekiel for the purpose of making them comprehensible to oneself or to others; the question here is that of an interpretation, or rather of a doctrine, which, although known, was taught under the seal of mystery; of a science furnished with a fixed form as well as fixed principles, since we know the manner of its division and since it is shown to us divided into several chapters each one of which is headed by a summary.